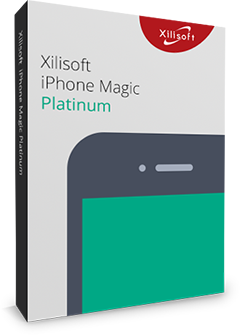 Specially designed for Mac users and iPad app lovers, Xilisoft iPad Apps Transfer for Mac could help to manage your iPad apps and app documents. You can backup iPad apps to Mac, delete apps on your iPad or move the apps back to iPad conveniently. Moreover, you can also add/save/delete app documents on your iPad directly with Xilisoft iPad Apps Transfer for Mac. Back up apps to Mac or iTunes in just a few clicks. You can also transfer apps from your Mac to iPad, or delete the app directly. 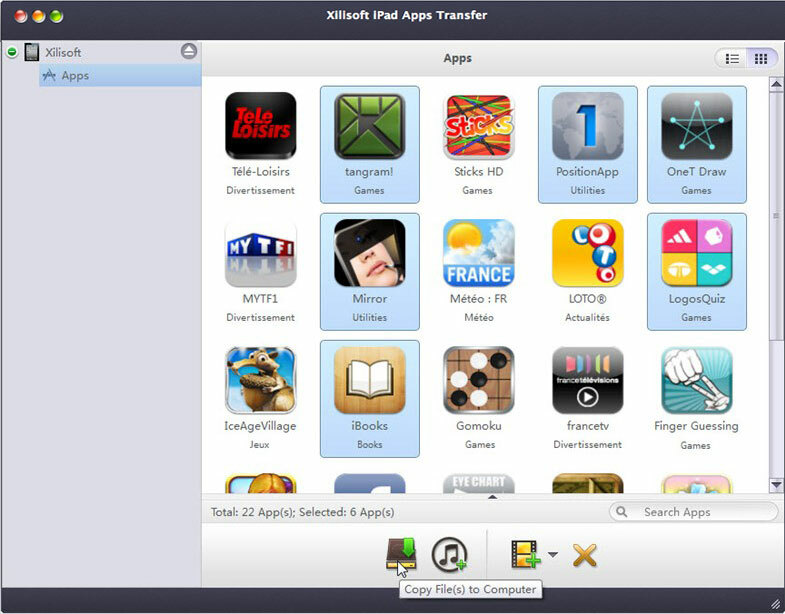 With Xilisoft iPad Apps Transfer for Mac, you just need to input the name of the app in the search box to locate any app, and then it will appear immediately. All the apps on your iPad will be showed up automatically as long as your iPad is connected to the Mac. Add app documents from Mac to iPad easily without iTunes. Save any document to Mac conveniently to avoid loss, it also makes possibility for you to read the document on Mac directly. 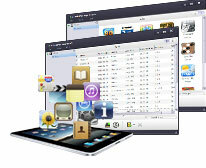 You can delete any document which is not in need from your iPad directly within this software. The documents will be showed up with Name, Modified time and Size once you choose an app,. If you need transfer more than one app, choose all the apps you need and transfer them with high speed. Support all iPad Wi-Fi, iPad Wi-Fi+3G, iPad 16GB, iPad 32GB, iPad 64GB, ipad 2, New iPad, iPad 4, iPad mini, iPhone 5, iPhone 5s, iPhone 5c. Multiple interface languages are available in English, German, French, Spanish, Italian, Simplified Chinese, Traditional Chinese and Japanese.